American entrepreneur and electrical engineer who co-founded the Hewlett-Packard Co., a leading manufacturer computers, computer printers, and analytic and measuring equipment. In 1939, he formed a partnership known as Hewlett-Packard Company with William R. Hewlett, a friend and Stanford classmate. HP's first product was a resistance-capacitance audio oscillator based on a design developed by Hewlett when he was in graduate school. The company began with $538 in initial capital, and its first production facility was a small garage in Palo Alto. Born 7 Sep 1893; died 16 Feb 1957 at age 63. Born 7 Sep 1855; died 5 May 1921 at age 65. Born 7 Sep 1840; died 16 Sep 1903 at age 63. Born 7 Sep 1829; died 22 Dec 1887 at age 58. Strange Genius: The Life of Ferdinand Vandeveer Hayden, by Mike Foster. - book suggestion. Born 7 Sep 1816; died 5 Aug 1880 at age 63. French naturalist who formulated a crude theory of evolution and was the first to suggest that the earth might be older than suggested by the Bible. In 1739 he was appointed keeper of the Jardin du Roi, a post he occupied until his death. There he worked on a comprehensive work on natural history, for which he is remembered, Histoire naturelle, générale et particulière. He began this work in 1749, and it dominated the rest of his life. It would eventually run to 44 volumes, including quadrupeds, birds, reptiles and minerals. He proposed (1778) that the Earth was hot at its creation and, from the rate of cooling, calculated its age to be 75,000 years, with life emerging some 40,000 years ago. Died 7 Sep 1991 at age 83 (born 18 Sep 1907). Died 7 Sep 1985 at age 67 (born 8 Oct 1917). British biochemist who (with Gerald M. Edelman) was awarded the 1972 Nobel Prize in Physiology or Medicine for discoveries concerning the chemical structure of antibodies. As giant molecules, antibodies are difficult to study. Both scientists looked for methods to split the large molecules into well defined fragments that, it was hoped, would prove to be more easily handled. Porter found that this could be done using papain, a protein splitting enzyme. Whereas previously it had earlier been assured that the most common type of antibody would carry two identical combining sites, Porter in fact found that the molecule split into three fragments: two smaller very similar ones, both with capacity of combining with the antigen, and one larger one lacking this capacity. He died in a car accident. Died 7 Sep 1970 at age 76 (born 9 Jul 1894). Percy Le Baron Spencer was an American engineer and inventor who had the idea for the microwave oven. In 1940, Sir John Randall and Dr. H. A. Boot invented the magnetron tube to produce radar microwaves. After the war, Dr. Percy Spencer at the Raytheon Company was investigating the magnetron tube. During one experiment, as the story goes, he discovered that a chocolate bar in his pocket had totally melted. Since the heating effect of microwaves was known earlier, Dr. Spencer deduced the magnetron radiation had melted the chocolate, not his body heat. This led Spencer to research cooking food. The first commercial microwave ovens were large equipment, made for restaurants. Died 7 Sep 1969 at age 55 (born 15 Jul 1914). Died 7 Sep 1957 at age 79 (born 16 Oct 1877). Norwegian pioneer of modern oceanography whose studies of the physical structure and dynamics of the oceans were instrumental in transforming oceanography from a science that was mainly descriptive to one based on the principles of physics and chemistry. Died 7 Sep 1956 at age 64 (born 30 Sep 1891). Died 7 Sep 1866 at age 70 (born 10 Dec 1795). The Baldwin Locomotive Works, 1831-1915: A Study in American Industrial Practice, by John K. Brown. - book suggestion. In 1936, the last known Tasmanian Tiger (Thylacine) died at the Hobart Zoo. This dog-like marsupial, named from its striped hind-quarters, was the first known mammal species to become extinct in Tasmania. The animal had been systematically exterminated by European settlers as an undesirable predator of farm animals. After it was eliminated in the wild, a few remained alive in zoos, but no effort was made to breed the species. 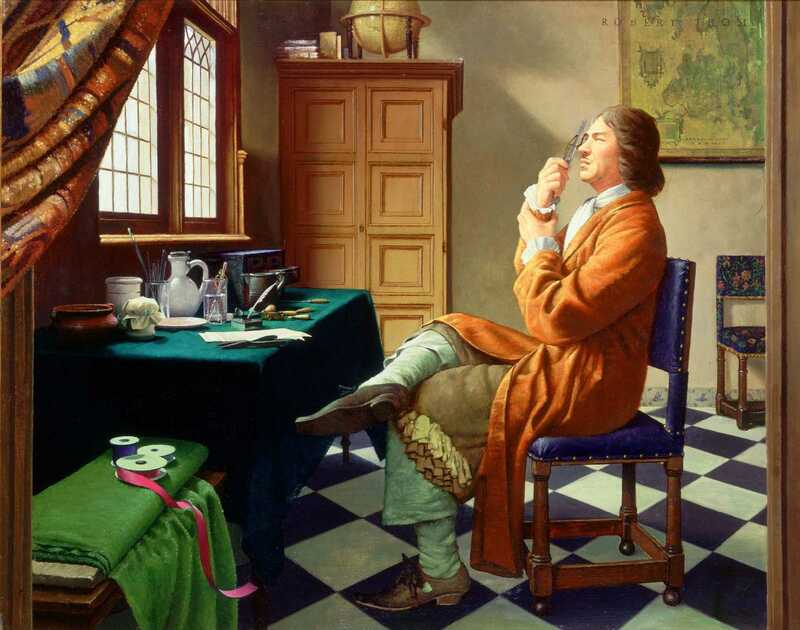 Antonie Van Leeuwenhoek and His “Little Animals”, by Antonie Van Leeuwenhoek. - book suggestion. Booklist for Antonie Van Leeuwenhoek.